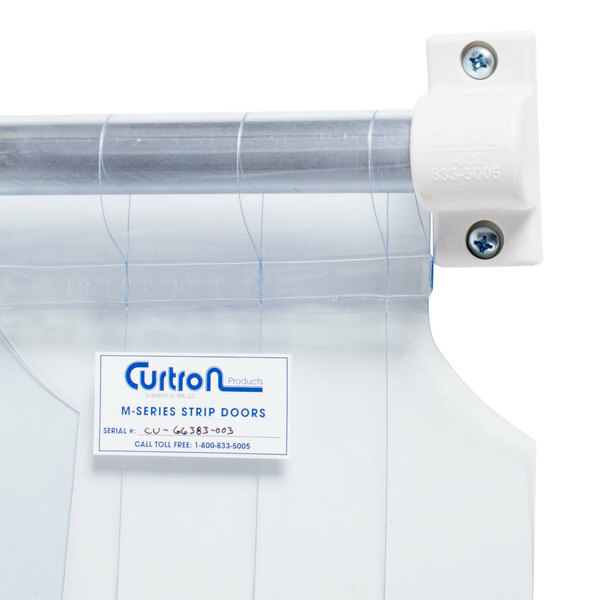 Reduce cooling costs, frost buildup, food spoilage, and temperature fluctuations with the Curtron M108-PR-6080 60" x 80" step-in refrigerator / freezer strip door! 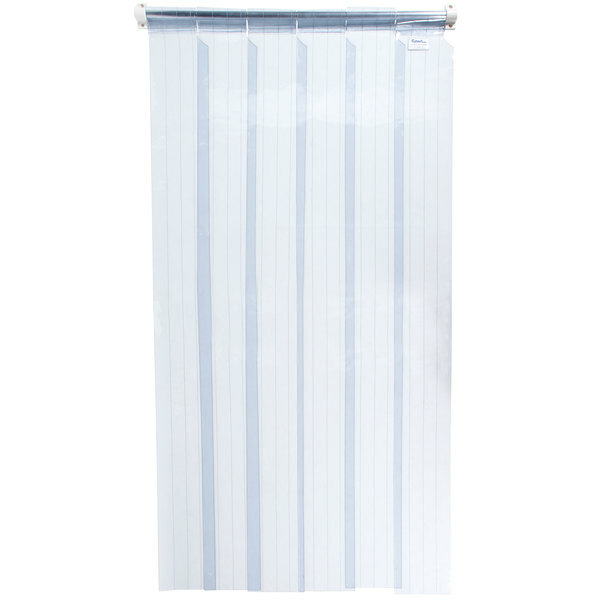 This strip curtain features enough surface area to cover an opening up to 54" wide and 78" high, and the included aluminum mounting bar easily installs in jambs or walls over your walk-in refrigerator or freezer doorway. 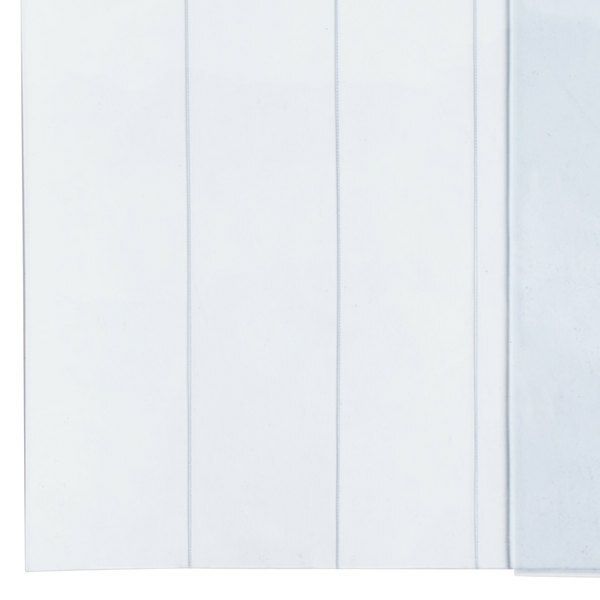 Each "polar grade" PVC strip has a looped top to easily slide over the mounting bracket in order to reduce stress and minimize damage during repeated use, and they can be easily replaced or rotated. 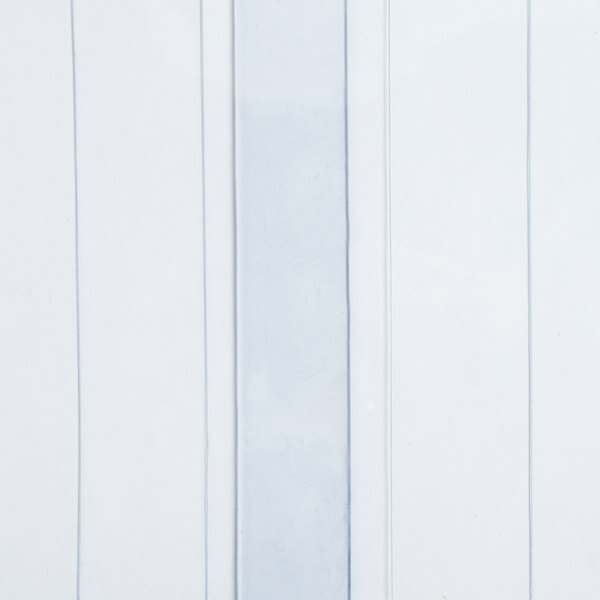 The strips also arrive evenly pre-cut 8" wide so you don't have to worry about slitting them yourself, and they can withstand temperatures between -20 to 140 degrees Fahrenheit. Made with USDA Compliant materials.